This eBook explains how databases that incorporate semantic technology make it possible to solve big data challenges that traditional databases aren’t equipped to solve. Semantics is a way to model data that focuses on relationships, adding contextual meaning around the data so it can be better understood, searched, and shared. 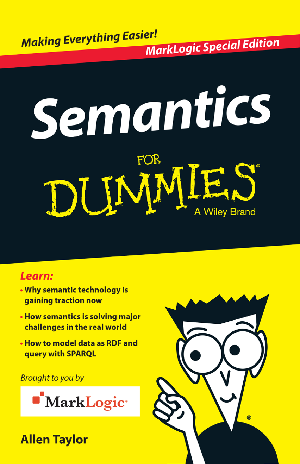 Read this eBook, discover the 5 steps to getting smart about semantics, and learn how by using semantics, leading organizations are integrating disparate heterogeneous data faster and easier and building smarter applications with richer analytic capabilities.